INDUSTRY.co.id - Medan - PT Goodyear Indonesia began exploring the development of a tire factory in North Sumatra, it is because the market area is still considered to have great potential. President Director of PT Goodyear Indonesia Allan Loi said, Sumut is a barometer of Sumatra Island. Observations and data show that the economy of North Sumatra grows good so it is considered suitable as an investment place. "We will examine more deeply about the investment plan in North Sumatra," he said during a friendly meeting with the Executive Secretary of North Sumatra Province H Ibnu S Hutomo in Medan, Thursday (22/3/2018). Alan added, although in addition to the potential sales of tires in North Sumatra is very promising and the presence of rubber raw materials are many. Sei Mangkei Special Economic Zone, including one of the locations considered for investment. The executive of North Sumatra Provincial Secretary, Ibnu Hutomo, said that they are ready to grant ease of licensing to Goodyear. 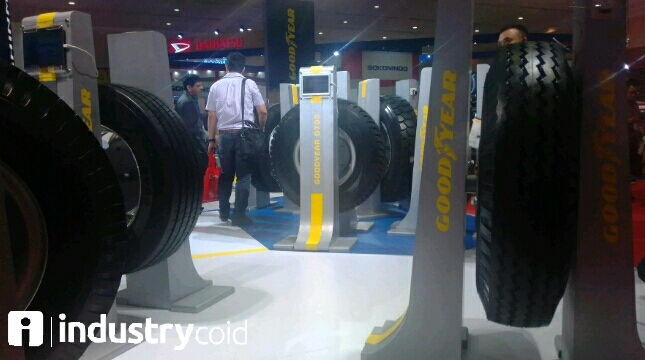 Goodyear is the first tire manufacturer in Indonesia.